KISSlicer 1.6 Release and KISSlicer 1.6 PRO give-away drawing! KISSlicer 1.6 goes final today! 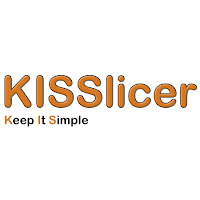 Most of my supporters and followers know that I'm a big fan of KISSlicer. Over the last 9+ months I've been a tester for the new KISSlicer 1.6 release that is going live today. Don't let the version number fool you, this ain't no minor update to the previous 1.5 release! 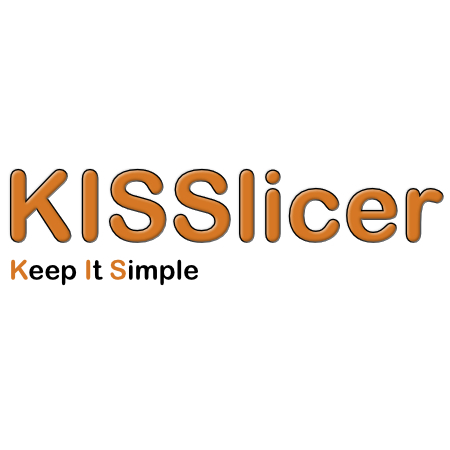 KISSlicer 1.6 is a major feature and bug release and also creates the foundation for the next big thing - I'll call it KISS 2.0 here but it will actually have a very cool name! I always look for that one "killer feature" in any new product release but with KISS 1.6 there are many killer features! Some are so sophisticated and unique that you'll wonder how you lived without them (PRELOAD, FRACTIONAL LOOPS, STEPOVER CONTROL, JOIN-LOOPS) and others are just extremely useful (TUNING WIZARD, INDIVIDUAL SETTINGS FILES, REFERENCE SETTINGS, CELLULAR INFILLS, ENHANCED SUPPORTS, BRIM LATCH, and many others). I'd call 1.6 a "Killer Release". The new KISS web site is planned to go live later today. It will have links to downloads, profiles for a few printers (and the list will grow), a Showcase and many more features. The new site will allow Jonathan to make more frequent updates. The URL will remain www.kisslicer.com but until that goes live with the new content, you can use the interim development site at kisslicer.weebly.com. Over the next few months, I'll be creating a series of videos on how to use KISS - both old familiar features as well as new features - to help you learn how to use KISS to get superior prints (like mine). As I mentioned a few days ago, I'll release these videos to my supporters on Patreon first, until I reach a total of 50 patrons supporting my work. Now, there's even more reason to become a supporter! KISS's creator, Jonathan, has given me a few PRO licenses to use for rewards, perks, and give-aways. The first one will be a GIVE-AWAY to one lucky Patreon supporter. The drawing will be held on Friday Sept, 15th at 5pm EST. All patrons will be entered into the drawing and one randomly selected. If you already have KISS PRO, it is up to you if you'd like a second key to give to a friend or if you'd like me to draw the next winner. No Comment to " KISSlicer 1.6 Release and KISSlicer 1.6 PRO give-away drawing! "